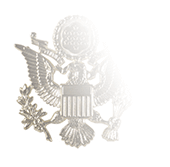 United States Air Force Officers wear the U.S. lapel insignia on both collars of the Service Dress Coat. 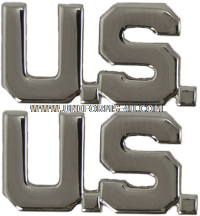 It is positioned halfway up the seam between the collar and lapel so that the letters “U.S.” are parallel to the ground. 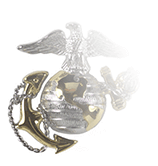 The insignia should be placed so that it rests upon the seam rather than over it. 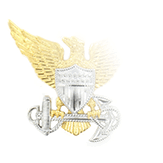 When the Air Service first introduced collar insignia in 1918, a proposal was made to differentiate Enlisted personnel and Officer with differently designed devices: Enlisted insignia would have a circle around the device, Officer insignia would not. 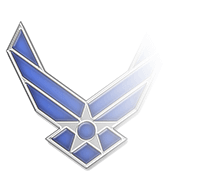 The tradition was firmly established by the 1930s and continued up until 1991, when collar insignia were eliminated for both Enlisted Airmen and Officers as part of substantial revamping of all Air Force uniforms and insignia. 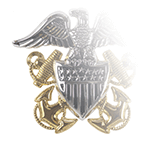 That decision was partially reversed in 1995 when collar insignia were reauthorized, but the new design with no circle was the same for all Airmen, Enlisted and Officers alike. 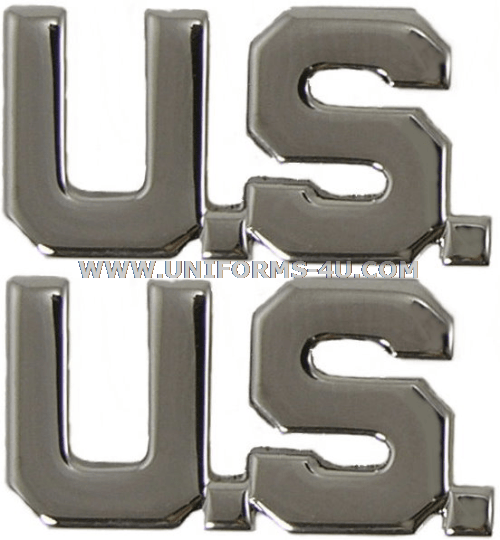 Nearly a dozen years elapsed before the Air Force Uniform Board announced that, effective 1 January 2007, Enlisted personnel would once again wear circled “U.S.” lapel insignia while Officers would wear just letters and initials.